Accessing your OSU Professional and Continuing Education online courses from our course portal is easy. After registering for your course, you will be notified via email of course availability. For instructor-led courses scheduled to begin at a future date, you will receive an email notification when the course is available (on the course start date). For self-paced courses, you will receive an email notice with instructions shortly after you register. In most cases, you should be able to access your course almost immediately. 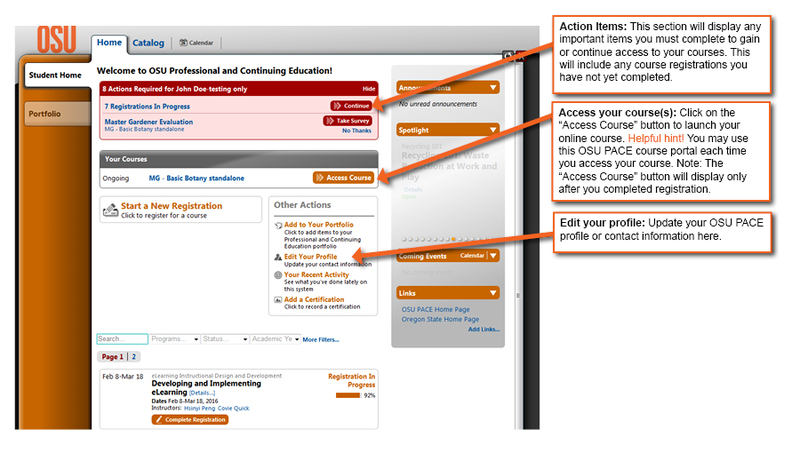 When your course is available, you may access it via the OSU PACE course portal, as shown below. We encourage you to bookmark the course portal web address (https://apps.ideal-logic.com/osupace) and use the link anytime you need access during your course of study.